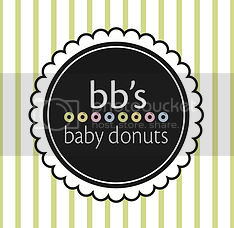 Tales of The Baby Donut: BIRDS & BUTTERFLIES NEED MORE THAN JUST DONUTS TO EAT, RIGHT? BIRDS & BUTTERFLIES NEED MORE THAN JUST DONUTS TO EAT, RIGHT? as good as our donuts taste, they're not enough for birds and butterflies, right? 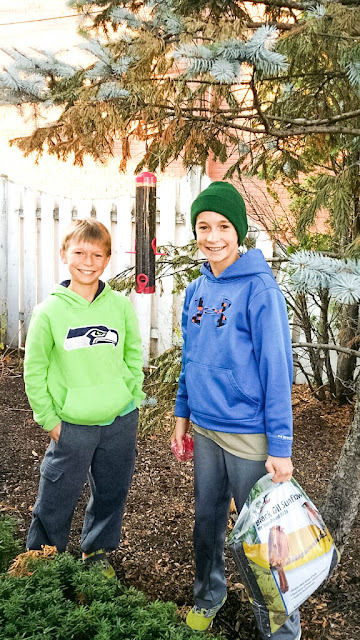 eddie and brett to the rescue - they stopped by BB's and after enjoying some donuts of their own, they put up a bird house right here in BB's front yard! they also left us with some milkweed plant to attract the almost-extinct monarch butterfly! come springtime, these guys will be helping us build even more houses and incorporate more amazing wildlife into our shop! thanks boys!